How did this company establish and maintain its presence among some of the biggest names in golf? How did this manufacturer procure and maintain the claim of producing the #1 wedge in the golf world? How did a company started by one man and his namesake grow to a company boasting over 350 employees? Answer: Friends that are able to give serious support and resources. Roger Cleveland was his name. Producing and selling golf clubs starting in 1979 was his game. 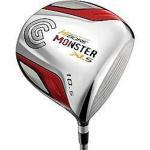 His company started off mainly being known for producing only replicas of classic golf clubs from the ’40s and ’50s. However, it wasn’t until the 1990s that Cleveland Golf was able to truly start expanding their research and development with newer products when Rossignol (the ski manufacturing company) purchased them. At that time, they were finally able to invest in some new products called VAS woods and irons. Sales grew. It always helps to have some pros use your stuff and win. Do you remember Cory Pavin who won the Open in 1995? Cleveland does. That really established the company as a viable competitor — but not enough. By the end of 1996, finances became an issue again. In 1997, Greg Hopkins took a leadership role, and sponsorships for world class players such as Vijay Singh increased sales five-fold by the end of 2005. Quicksilver bought the assets of Rossignol, and for a couple of years not much happened. Then, in 2007, SRI Sports (a global company with more of a vested interest in golf and more than enough capital) bought Cleveland, and the company finally had some support and resources to continue innovating and growing product awareness. That company of course is also currently known as Srixon. 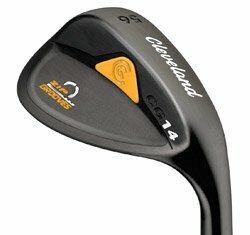 Why is the Cleveland wedge so popular? Often you see the same statistics, specifics, and even copycat designs of other clubs and brands. Why Cleveland? Ask golfers who use them, and often they will tell you the same thing — they aren’t quite sure, but they can sure hit the Cleveland better than other wedges. Weight? Balance? Shape? Probably all factors, but whatever Roger Cleveland originally did — it worked well. Just take this one for instance. Fantastic club. Thanks to the support that Cleveland has received from their parent companies, they have really expanded their expertise into other clubs — especially drivers like the Launcher which are traditionally for amateurs — but rattled around in a 2003 PGA Champions bag. 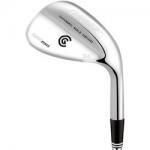 Check out some other clubs and products by a company that has truly stood the test of time. Look Ma!! It's LASERS! Cleveland used lasers to mill the face of these game-improving irons. 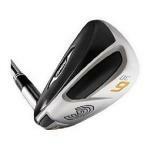 It gives the surface area a roughness designed to maximize spin.